At Maples Little Angels Child Care Center, we believe in providing quality care and educational experiences for your family. Each child – each family is unique, bringing its own identity, needs, and richness to our program. 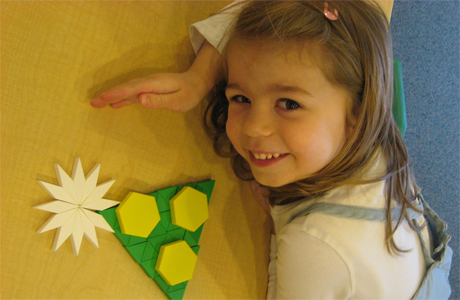 The gifts of letting children make choices enables young minds to develop the strategies to “fit the pieces together”. The result may be a beautiful creation, the anwer to a problem, or maybe even a new invention. Sometimes the result may not look like much of anything. While experiencing the world around them, developing thinking skills and problem solving strategies, children are building life skills. To this end, it’s the process that is important. Children who feel safe, valued, and accepted are free to grow physically, emotionally, socially, and intellectually. These children welcome new experiences, stretch their creativity and imagination and form positive new relationships. Combining age appropriate limits and boundaries with positive guidance and discipline techniques provides the foundation for this environment. Nuturing happens throughout the day. Usually, individually, but sometimes it’s a group activity with friends! As children explore their world through play, they develop thinking and problem solving skills and a genuine love for learning. Allowing children to make choices throughout the day supports self-confidence and fosters independence in each child. 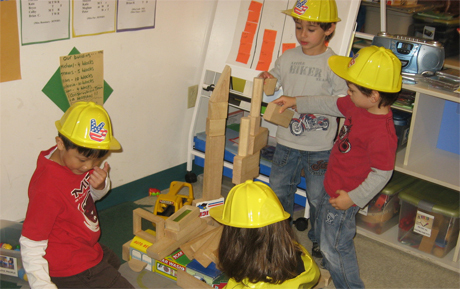 Creating this structure involved more than building with blocks. This activity provided the opportunity to create and follow through with a plan, to practice cooperation, to experience accomplishment and to build friendships. We recognize parents as the most significant figures in their children’s lives. Establishing mutual respect and understanding between parents and staff provides a model, which benefits everyone – especially the child. We encourage daily communication with parents and welcome your participation and input. 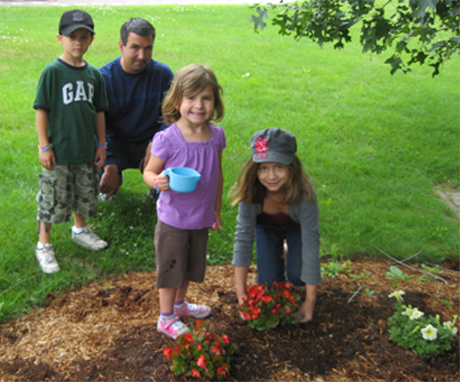 Children and their families plant flowers in the gardens around the center. As they come and go each day, they can admire the growth and beauty of their work. We celebrate the similarities and the differences of each child and each family. Respecting and accepting each other builds tolerance and understanding within our community. Being located in Maples Rehabilitation and Nursing Center allows us to reach beyond ourselves to another community as we join in intergenerational activities with the residents. 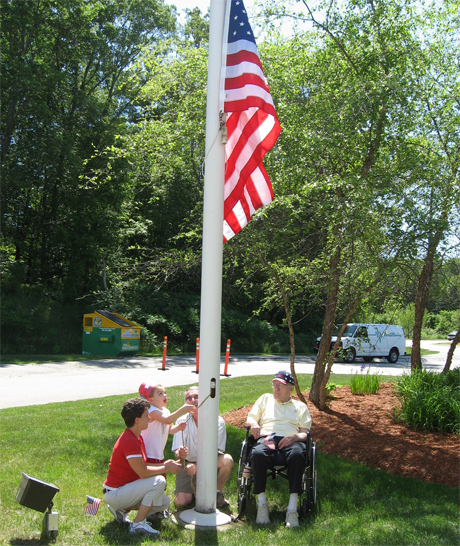 In June, the children of Maples Little Angels and the Maples residents and staff come together to celebrate flag day.